PRO CARTON YOUNG DESIGNERS AWARD 2018! New for this year: there are more categories and there will be more winners plus more finalists all of whom get to go to the Gala Dinner which this year is in Riga. And don’t forget the teachers of the finalists get to come to the Gala too! 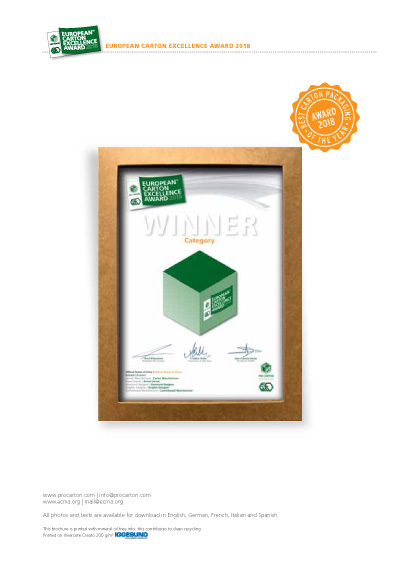 Creative Cartonboard Packaging: Food & Drink: The focus lies on cartonboard as the most sustainable food and beverages packaging material and its recyclability. Give us a taste of great design! Creative Cartonboard Packaging: All Packaging excluding Food & Drink: all non-food packaging using cartonboard which is, of course, both renewable and recyclable. The main prize for the category winners is a visit to the Metsä Board Mill in Finland plus practical training at the international carton producer Mayr-Melnhof Packaging in Austria. All expenses paid! Furthermore, the finalists and each of their lecturers will be invited to the Gala Awards dinner and ceremony on 20th September at the European Carton Makers Association (ECMA) Congress in Riga/Latvia. The European folding carton industry will meet for this networking event of the year! All expenses will be covered by Pro Carton: Travel costs, 2 nights in a luxury hotel, the elegant Award Gala and even a budget for night out in Riga! the winners, finalists and shortlisted entries for the 2017 Pro Carton Young Designers Award. 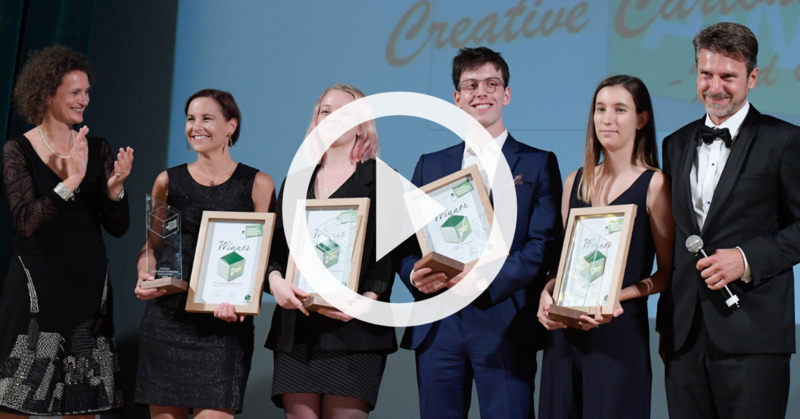 Why do you support the Pro Carton Young Designers Award?